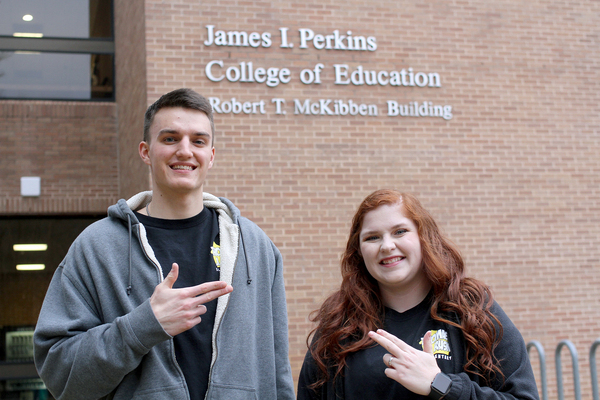 Stephen F. Austin State University education seniors Ben Dickey of Austin and Melissa Caruso of Mineola, along with Emily Fulmer of Dallas, (not pictured), will present their research, "How Can Pre-Service Teachers Engage English-Language Learners in Production Struggle?" at the National Council on Undergraduate Research Conference in April. Their case study recorded and analyzed the types of questions pre-service teachers asked as they tutored fourth grade English-language learners in mathematics.